Hitec Phantom X4 Charger « Big Squid RC – RC Car and Truck News, Reviews, Videos, and More! Soon to be released from Hitec is the Phantom X4 Battery Charger. The Phantom X4 was specifically designed to charge four DJI Phantom 3 or DJI Phantom 4 Smart Batteries at once. This is big news for the drone crowd and the Phantom X4 can also charge two smart devices via USB ports and two remote controllers at the same time. 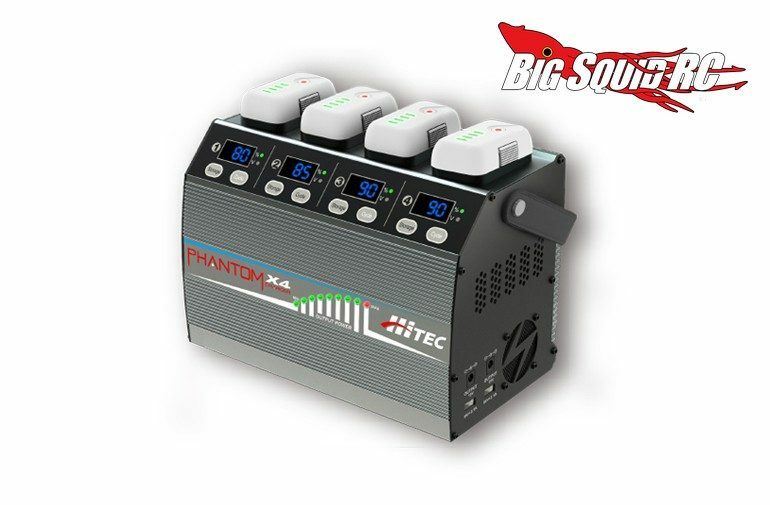 The Phantom X4 is expected to have a street price of $279, it has a part number of #44525, and you can use This Link to head on over to the Hitec RCD website. Click Right Here for more Hitec news on BigSquidRC.